‘Mirage? 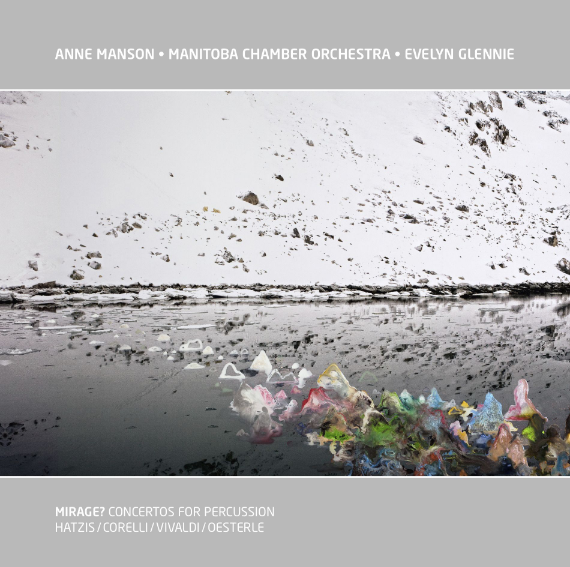 Concertos for Percussion’ is a stunning CD collaboration between GRAMMY-winner Dame Evelyn Glennie and the JUNO-winning Manitoba Chamber Orchestra. Lush, lyrical, and wildly virtuosic, it features Glennie on vibraphone and marimba and includes favourite works by Hatzis, Oesterle, Vivaldi and Corelli. A must-have for fans of Glennie and the MCO.